David Pagnotta: Contract talks between the New York Islanders and Anders Lee are ongoing. Brock Nelson extension talks have been very loose so far. Don’t know of any Jordan Eberle have taken place. Panarin likely to be dealt? Brian Hedger: Asked several sources how they thought the Artemi Panarin-Columbus Blue Jackets situation would play out and the general consensus was that they believe he will be traded before the deadline. 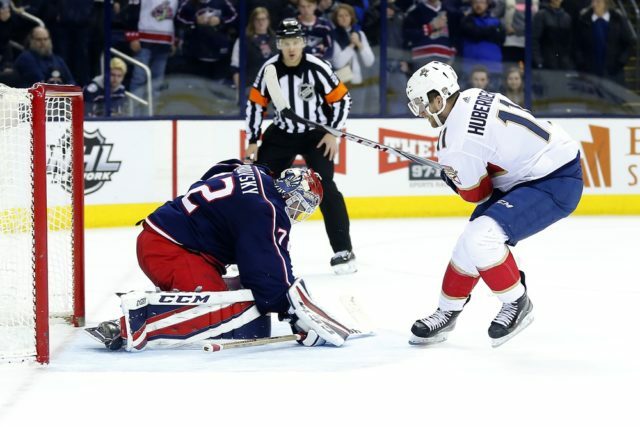 Could the Panthers make Huberdeau available to the Blue Jackets? Frank Seravalli of TSN: So Artemi Panarin has switched agents to the same one as teammate and pending UFA Sergei Bobrovsky. The Florida Panthers are believed to have interest in both. The Blue Jackets would obviously require a lot more than Derick Brassard and other contracts to make a deal work. Enter Jonathan Huberdeau to the TSN trade bait board at No. 20. He’s 25-years old at a $5.9 million cap hit for another four years and is almost at a point a game this year. If Huberdeau is made available in a package, the Blue Jackets may have to allow the Panthers to speak with agent Paul Theofanous about contract extensions. Panarin said last week in an interview that he wants to test free agency.